The Funeral Luncheon Ministry provides a comforting meal in McCabe Hall following the funeral mass for the family and friends of the deceased. Cooking, set-up and serving are provided by a large group of parishioners including those who bring desserts. 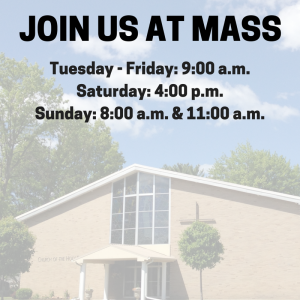 If you would like to be a part of this important ministry, please contact the parish office at 754-1266 or churchoftheholyfamily@gmail.com.